Description: Use a flowchart to remember lyrics easily and quickly. 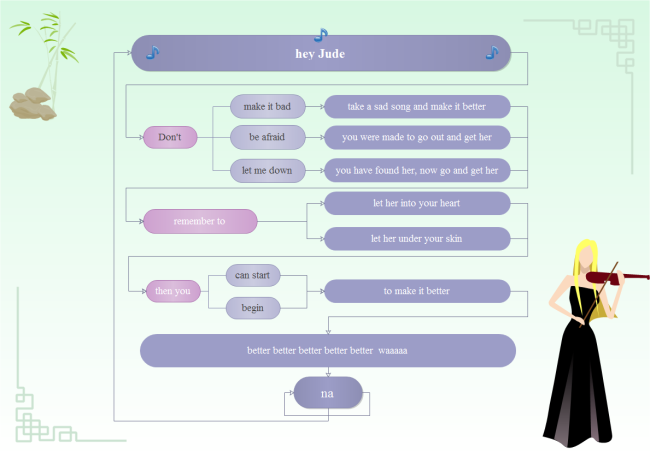 This is a simple flowchart example about how to remember lyrics of Hey Jude. Created by Edraw Max, which is available in different formats.